After a couple weeks of being off track with my training (I’ll thank being out of town for two weddings and a couple of super busy weeks at work for this), I’m so happy to report that I got back on track with my training this past week. Although I faced difficulties with my body during the early part of the week, by midweek I felt like myself again and was ready to focus on my training. During the week I felt the good sore that you feel after a couple of tough but good workouts, and then on Saturday it felt incredible to complete an eight mile run. The last time I ran any distance longer than a 5k was over Memorial Day weekend. There’s nothing like a good sweaty workout to help get you back into your training routine! I’m hoping to take my successful week and use it as fuel for my training in the coming weeks. If I can have more weeks going forward like this past one was, I can only imagine how well prepared I’ll be for Virginia Beach in another ten weeks. 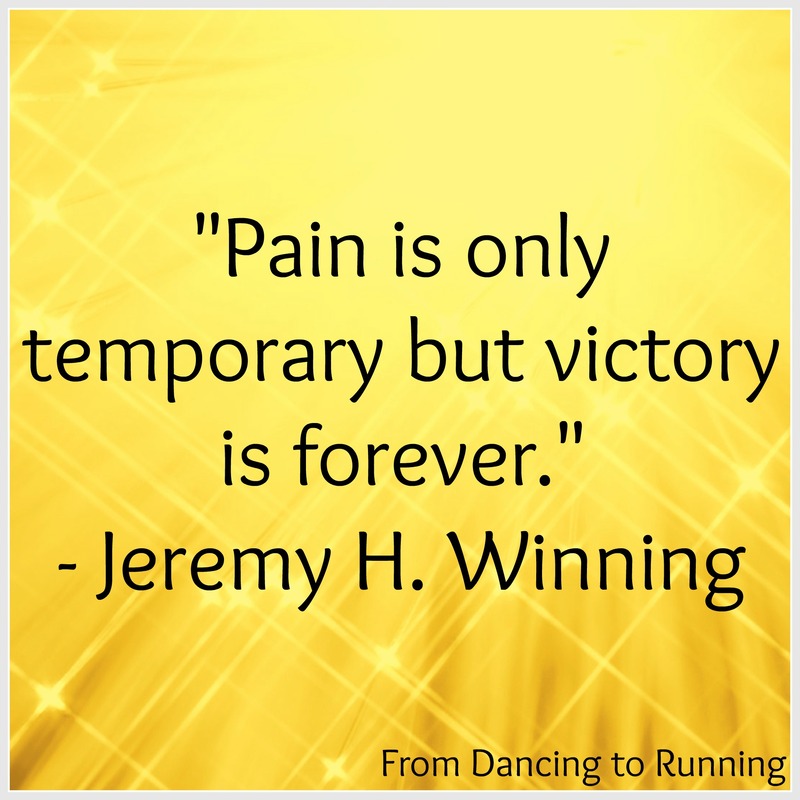 The pain and soreness that I experienced this past week was well worth it, as it paid off in an overall successful week, as well as a huge runner’s high. QOTD: How do you motivate yourself to get back on track? Don’t forget: today is your last opportunity to enter my Vega Sport giveaway for your opportunity to win a sample pack of endurance gels and protein bars! Congrats on the great training week! That’s awesome that you felt so good after the 8 mile run 🙂 Having a race on the horizon and a specific training plan are definitely great motivators. I’m looking forward to my new training group starting this week as I’m hoping that will be a good motivator too. Get it girlie what another great week for you! Nice work! Can’t believe how quickly RnR Va Beach is coming! Its incredible to think that its only 10 weeks away! I motivate myself when I look in the mirror and remember how good it feels to workout. If I don’t get them in, I get uhm, snappy so I make sure to incorporate them to save others. 🙂 It looks like you are off to an awesome week! 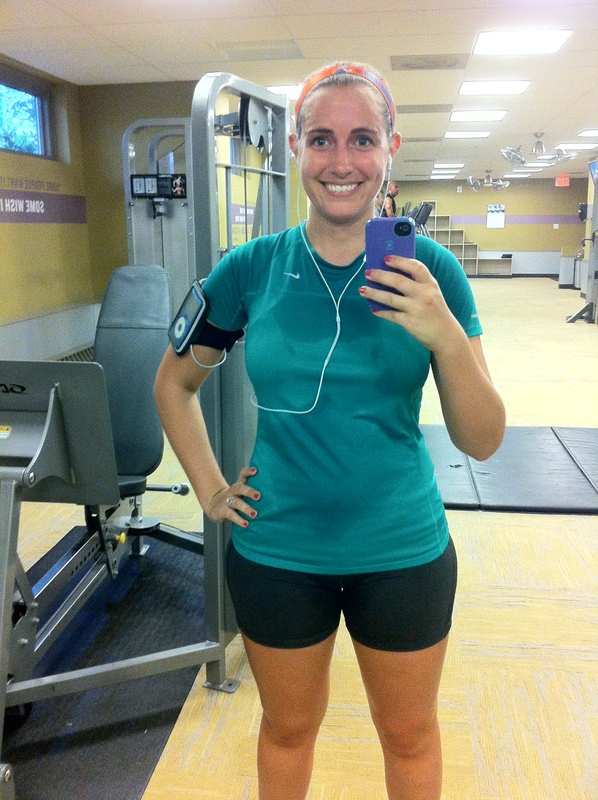 Reminding yourself about how great workouts make you feel is so incredibly motivating! I’ll be using it as a training run as well. See you there! Oh, and I finally decided to sign up to run RnR VB too!! Yay!! Yay, can’t wait to see you there! You are totally gonna Rock VA Beach girl! I kind of wish I was running it but then again when I am doing my training runs here at home and I feel like i’m gonna die from the heat, it doesn’t bother me that I won’t be there. I’m definitely worried about the heat and humidity. Last year was pretty brutal, but apparently not brutal enough to prevent me from signing up!